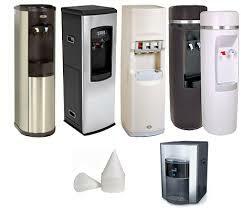 Cool Refreshments provides exceptional water cooler products from Pure1. 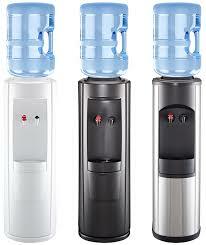 Featuring built-in water filters, these coolers are an excellent choice for all kinds of businesses. If you'd like to find out more about these products, don't hesitate to get in touch; we look forward to hearing from you. Have you ever wished there was a system that dispensed cold, clear, delicious bottled water while automatically refilling itself? If so, you need to check out our Everfill water coolers. These amazing systems are perfect for offices and other commercial spaces. They offer a wide range of outstanding features and benefits that make them a practical and cost-effective choice for your company. The patented Everfill Bottle from Pure1 continually refills itself, so there are no expensive, heavy bottles for you to change. We can deliver five gallon bottles of water to your office or home. The bottle connects directly to your existing water source to ensure a continuous supply of water. Our cost-effective rental programs can save you 1/3 to 1/2 off your current bottled water bill. Whether you choose our advanced filter systems or our premium reverse osmosis systems, you'll enjoy clean and delicious water every time. Whatever system you choose, the Pure1 gravity process protects your water against algae and bacteria build-up that can collect in conventional water bottles. Lead removal filters are also available.